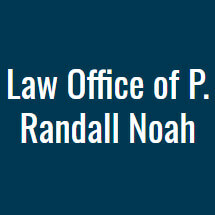 At the Law Office of P. Randall Noah, we represent people who have been denied for long-term disability insurance. With offices in Orinda and South Lake Tahoe, California, our lawyer serves clients in the Oakland and San Francisco Bay Area, the Tahoe/Reno area, in Sacramento and throughout Northern California. Because many of our cases fall under federal court jurisdiction, we can also represent clients throughout California and beyond. At our law firm, we can help enforce your rights if your long-term disability carrier has denied your claim. Lawyer Randy Noah has represented disability claimants in Northern California for more than 20 years, helping clients obtain their rightful coverage for many types of physical or mental conditions. To be eligible for benefits, your condition does not have to be work-related and you do not have to be completely disabled. Whether your disability insurance is private (purchased directly by you from an insurance company) or employer provided (governed by the federal Employee Retirement and Income Security Act (ERISA)), we know how to enforce your rights. At the Law Office of P. Randall Noah, we understand how long-term disability insurance works and why insurers deny benefits. Mr. Noah formerly represented insurers defending against claims, and he applies that experience to every one of his cases. At our law firm, we are proud to provide personal service to every client that is specifically tailored to meet their needs. We only take a limited number of clients so that we can be sure to provide them with the service that they deserve. We have more than 20 years of injury disability and insurance experience, and experience matters in complex insurance cases.